Space heaters are an excellent way of warming up an individual room without turning up the thermostat to the entire house. These small portable heaters can be placed almost anywhere in the house that flammable materials are not present. When used as supplemental heat sources, space heaters can reduce the home's overall heating bill. This doesn't mean that the electrical bill won't increase slightly because it will, but the trade-off most generally always results in a savings overall. Space heaters come in three different types: convection, radiant, and combination heaters. These space heaters range in price from $35 to around $110. Before you rush out and purchase a space heater, you should take a minute to consider where you will use the heater and which type is the best for the cold spots in your home. Radiant heaters are best if you want to heat an area very quickly. On the other hand, if you want to warm an entire room of your house, a convection heater is the better choice. Still, if you're looking for a heater that is able to stand up to everyday use and abuse, combination heaters are tough to beat. Another thing to consider before purchasing a space heater is the amount of heat you want it to put out. Most heaters use between 600 and 1,500 watts of power. The larger the wattage, the more heat it produces and more power it uses. So how does this translate into utility bill charges if I use one of these heaters? What will it cost running it just a few hours a day per month? Well to put it in perspective, if you used a space heater for 6 hours a day, seven days a week for a month, it would cost somewhere around $16.00 to power the heater. Not bad when you consider how much gas or electricity that you saved by not heating the whole house during that time. When choosing a heater, keep in mind the size of the room to be heated and the amount of work you intend to perform to add a heater. There are three distinct choices that can all add needed heat to a room or rooms. The differences may make the choice for you. Let's take a look at each of the choices and why each could be the right heater for you. and your home. Convection heaters have a unique design and are used to warm the air in a room, not people. They produce hot air that rises to the ceiling, and this causes the cooler air to fall to the floor, causing a circulation of the air in the room. 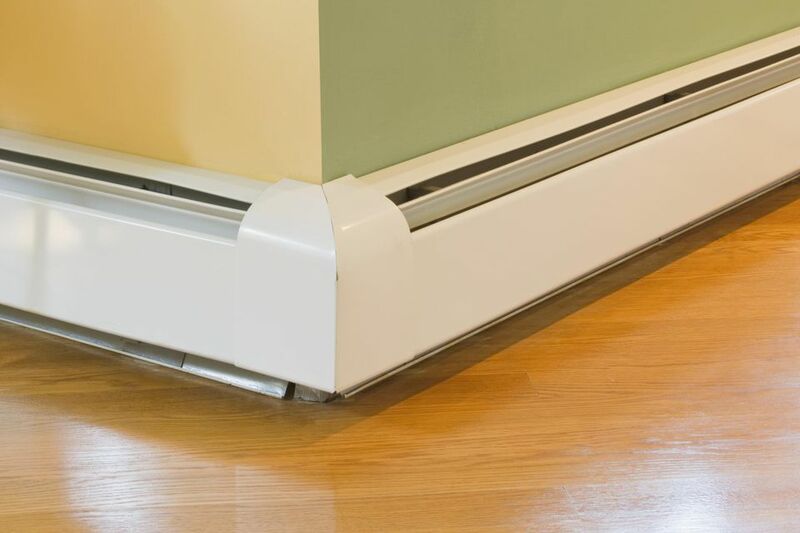 These heaters are either baseboard heaters or water- or oil-filled heaters. The water- and oil-filled heaters are the most efficient by far and are generally warm to the touch. Radiant heaters are used to heat people and objects in a room, not the ar specifically. These heaters provide warmth to someone sitting in front of it and do it promptly. If you want heat very quickly, this is the right choice for a heater. However, be aware that there are certain dangers associated with radiant heaters. They can burn people and animals and are always a fire threat when put too close to flammable or combustible materials. Combination heaters provide the best of both of these heaters. They use a fan to help distribute heat throughout the home but are not as efficient as the other heaters. They are a good choice for most anywhere in your home. Electric space heaters produce 1 unit of heat for every 1 unit of electricity. To help you understand the efficiency of those figures, that means the heaters are 100% energy efficient. Geothermal heat pumps offer 3 units of heat for 1 unit of electricity. That translates into a 300% efficiency. Should You Buy a Reciprocating Saw for Your Home Remodel?